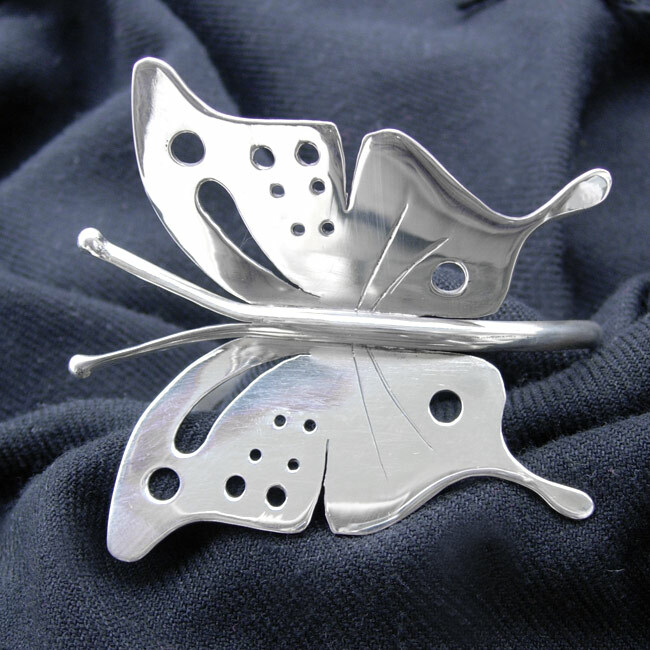 Individually handmade, the sterling silver butterfly bangle is a statement piece. Approximate size 60mm x 70 mm. One size fits all – the bracelet band can be adjusted to fit any wrist. Can also be worn on upper arm. 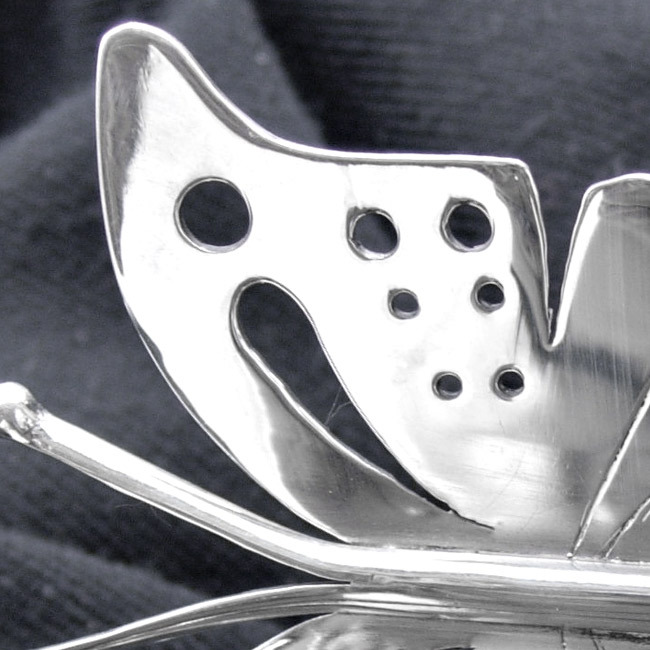 Availability: In stock Size: N/A Categories: All Jewellery, Bangles, Collections, Wings. 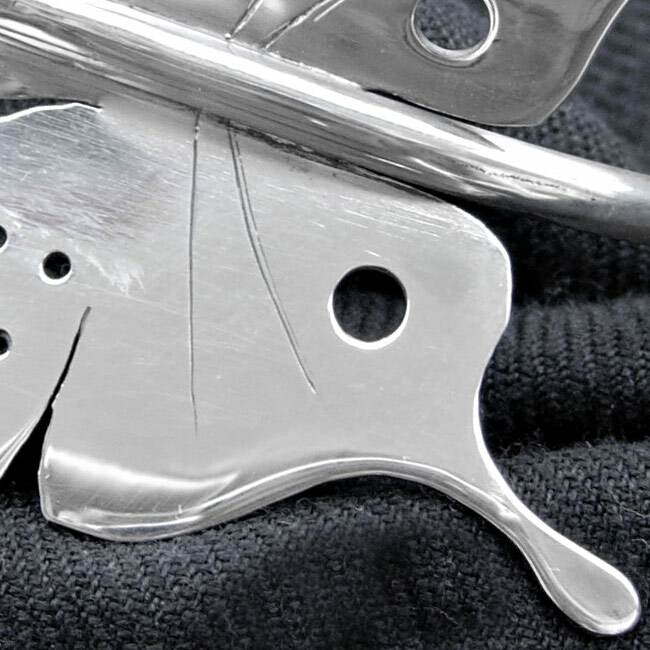 Tags: bangle, bespoke silver, butterfly, dragonfly, handmade silver, jewellers, jewellery, jewellery designer, jewellery maker., liverpool, LWSilver, north west, silver, silversmith, sterling silver, uk, wedding rings, wings, wirral.